We sure have been experiencing a heat wave this past week. With temperatures nearing 100, it has been extremely uncomfortable to be outside. I live in Minnesota and we don’t have weather like this. But our summers are short, so even with the extreme heat I still go outside. I still try to get some time out in the sun but with plenty of water and a bottle of Arctic Aloe nearby. Arctic Aloe feels refreshing after spending time in the sweltering sun. 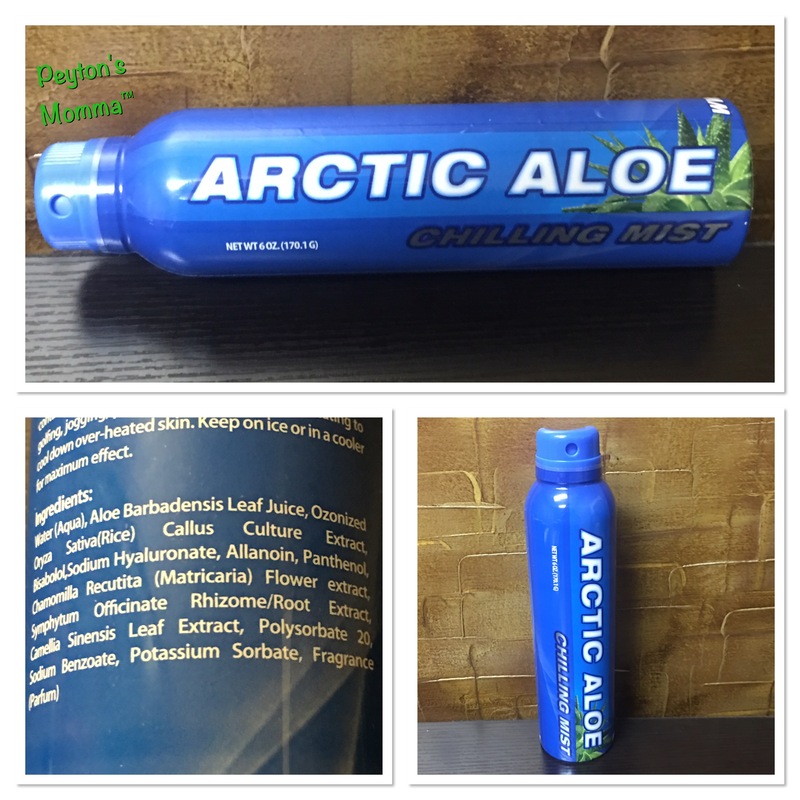 There is no sunscreen in Arctic Aloe, so I do use a sunscreen in combination with my Arctic Aloe as well as drink plenty of ice water while out in the sun. There are a few uses for Arctic Aloe. I personally love using it when I’m outside on a hot day. 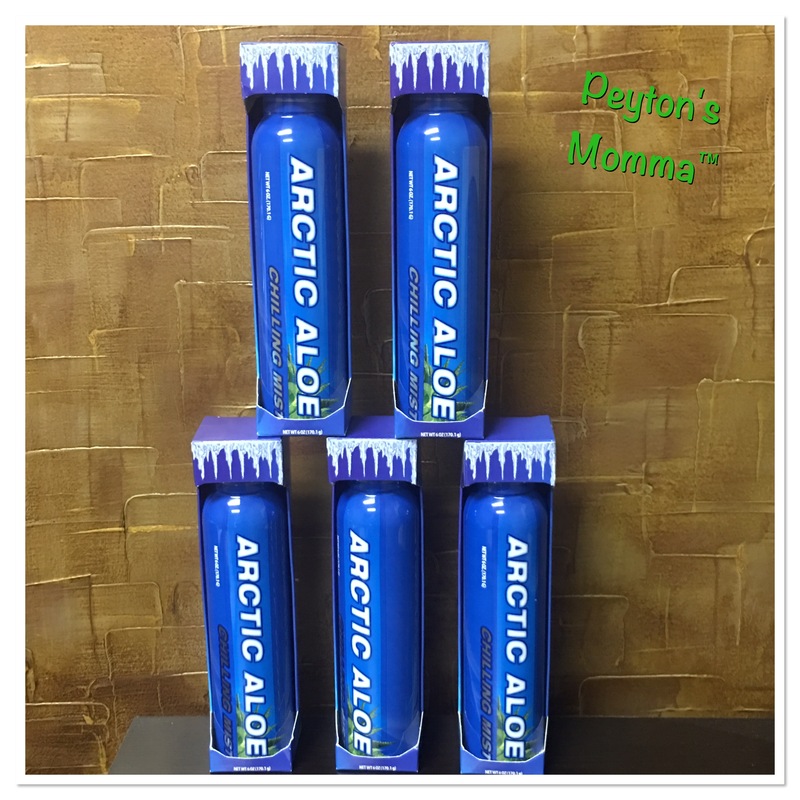 I keep my Arctic Aloe in the fridge, when at home, or in a cooler if we are out and about. When the bottle is chilled and you spray it on your hot skin it feels refreshing and gives you an instant cool down. The aloe also hydrates your skin. Another way you can use Arctic Aloe is to help set your makeup. In the morning, when you are finished applying your makeup, just give your face a little spritz. Let it dry and now your makeup is set! Plus your skin is getting a little extra hydration. Do you have hard water? well water? I have well water, which is hard water. It does a number on my skin. After taking a shower I like to spray on the Arctic Aloe and use it as a moisturizer. I can’t wait to use Arctic Aloe this winter, that’s when my skin is extremely dry. Arctic Aloe is a year round skin care product, no matter where you live. When we head to Disney World this fall I plan on packing a few bottles of Arctic Aloe to keep in the room. That way, when we come in from an afternoon in the sun we can refresh before heading off to dinner. Currently, you can only purchase Arctic Aloe online. Be sure to stock up for any cruises or vacations you have coming up.